Single section with red chain stitch. 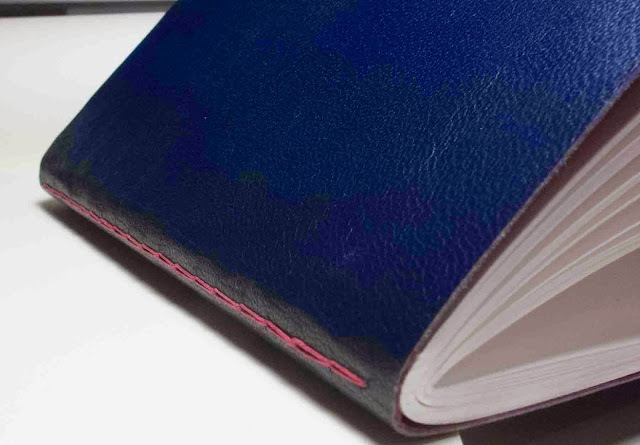 Cover made of blue leather lined with a red/gold paper. Så snygg. Nu har Du gott om böcker att skissa i.